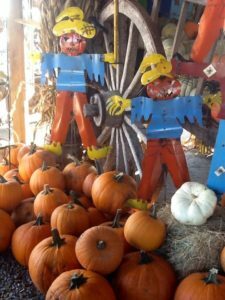 The Fall pumpkin patch open now at Standely Feed & Seed in Madisonville, Texas.Come celebrate the cooler weather and visit the pumpkin patch at Standley Feed and Seed in Madisonville Texas! We have pumpkins of all shapes and sizes, gourds, ornamental squash, and corn stalks. This is a great photo opportunity for families! Bring the kids and take a picture with our scarecrow, search for the perfect pumpkin and make it an outing. Make this year memorable with the decorative fall items we have available. We can’t wait to see you and the kids! Shop early for the best selection! If you have any questions about this year’s Patch, please stop by the store or give us a call. This entry was posted on Friday, September 28th, 2018 at 4:21 am	and is filed under News & Updates. You can follow any responses to this entry through the RSS 2.0 feed. Both comments and pings are currently closed.